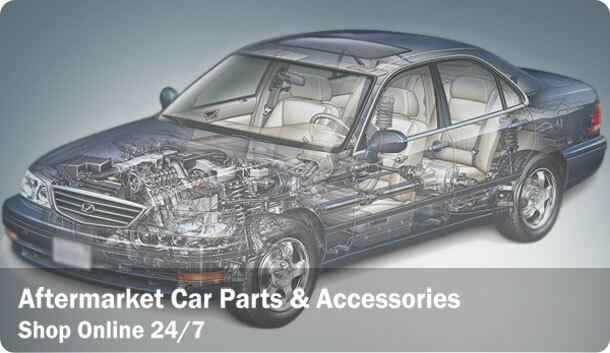 Your complete online store for replacement car parts and accessories. We supply quality aftermarket parts to both retail and trade customers. For instructions on searching for your part on our website, please click here. We do not have our products listed under vehicle make or model and you may need to use our Parts Search facility to find the correct part number for your vehicle. If you need help finding your parts, please either use our Contact Form, email us direct or give us a call. We are more than happy to help. To calculate how much your order will cost to post, add the products to your shopping cart. You can then "View Cart" and can calculate the postage on the Cart page. You do not have to register or be logged in to do this. While we keep most common parts in stock, we do not keep in stock all the products listed on our website. In most cases, we can get parts in within one or two days. There are some products which will take ten days to a fortnight to get into store. If you are concerned there may be a delay with your order, please contact us before checking out. If you would like us to check you have the correct part for your vehicle, please complete your vehicle details in our contact form, including your VIN, tell us the parts you want and we will be happy to check for you.